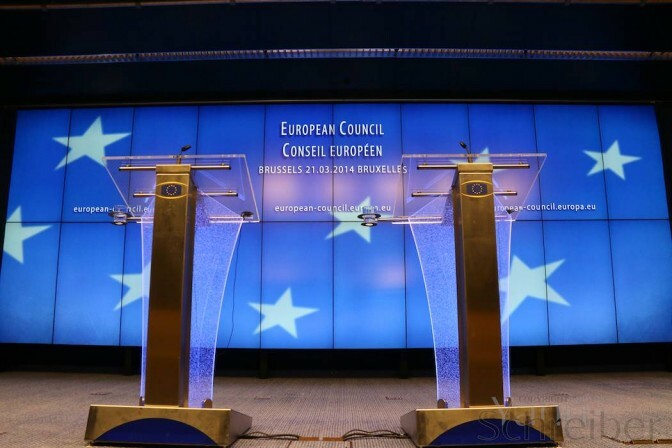 My best pictures from the Spring European Council, held on the 20th and 21st march 2014 in Brussels, Belgium. The 28 heads of state or government decided to further extend existing sanctions on Russian Officials, in response to the situation in Crimea. All pictures are copyright Yann Schreiber. For use, do not hesitate to contact me. « Our Republic and its press will rise or fall together. An able, disinterested, public-spirited press, with trained intelligence to know the right and the courage to do it, can preserve that public virtue without which popular government is a sham and a mockery. A cynical, mercenary, demagogic press will produce in time a people as base as itself. The power to mould the future of the Republic will be in the hands of the journalists of future generations. » — Joseph Pulitzer, The North American Review, May 1904, p. 60. « A journalist is the lookout on the bridge of the ship of state. He notes the passing sail, the little things of interest that dot the horizon in fine weather. He reports the drifting castaway whom the ship can save. He peers through fog and storm to give warning of dangers ahead. He is not thinking of his wages or of the profits of his owners. He is there to watch over the safety and the welfare of the people who trust him. » — Ibid., p. 36.